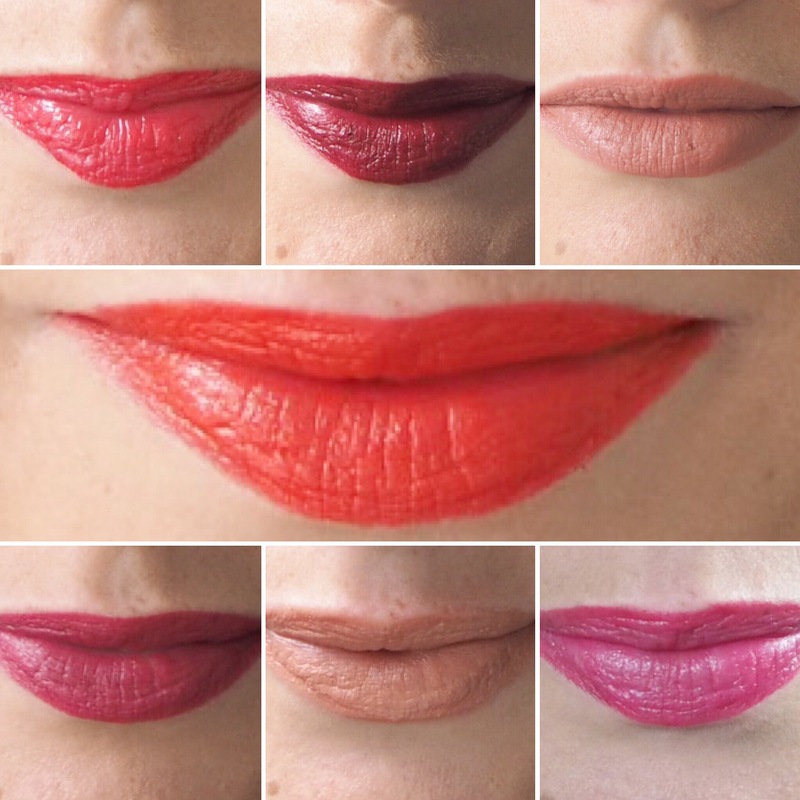 I can’t believe it, one week down in my Simply Lippy challenge and it all went great. I’m sure the excitement is keeping me going at the moment, but I’m really getting into the swing of things and so glad I decided to do this challenge. 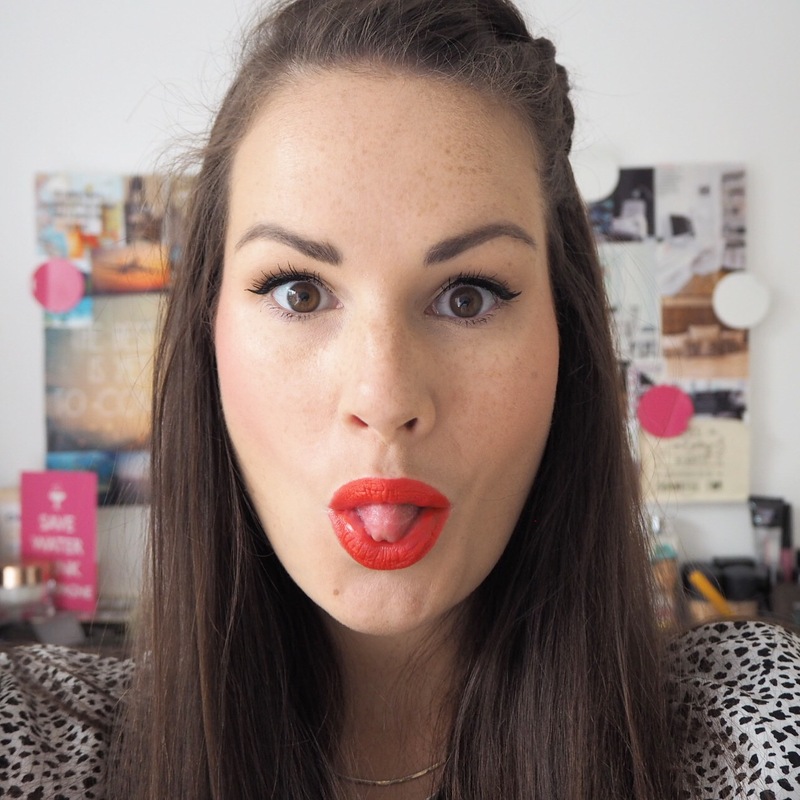 If any of you still aren’t sure what the Simply Lippy challenge is about, you can catch up here, and for those of who who’ve been following me for the last while, I really hope you’re enjoying all my lipstick options and blog posts. Don’t forget to send any suggestions my way, and if there’s any lipsticks you are dying to try but want to know what they are like before you buy, then let me know those too so I can give them a test run for you! I’ve worn a gorgeous mix of colours for my first week, and as these are lipsticks that I already own, I do love all the shades. In fact, I pretty much love all the lipsticks and lip products I own, but I do have my favourites, so the real challenge will be testing out new shades and brands once I run out of my collection! Anyway, it’s Saturday today and I’m off for a family lunch so I wanted wear a special lippy today. 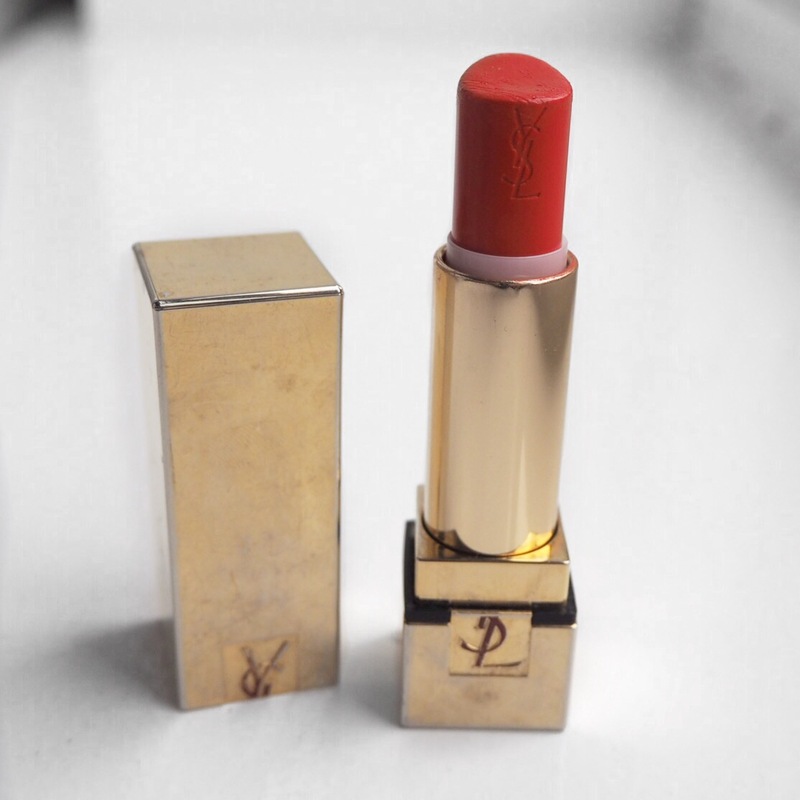 Because of that, I decided to go for one of my favourite ever lipsticks in life, YSL’s Rouge Pur Couture Lipstick in shade 13, Le Orange. 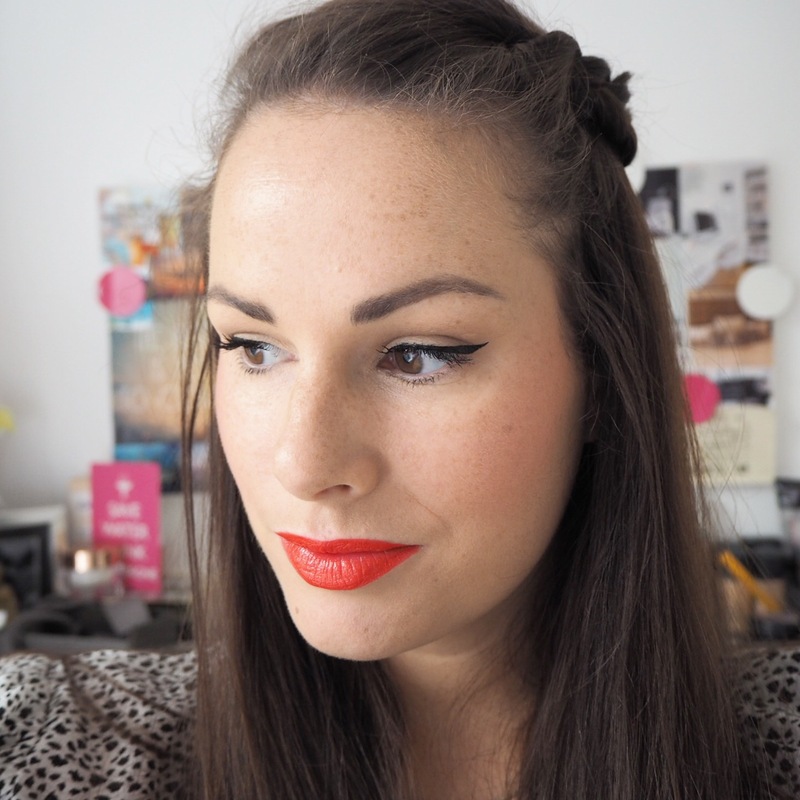 I’ve written about my love for this lippy before which you can read here, but it is quite literally one of the best lipsticks I have ever worn. It is creamy, it is opaque, it is long lasting, it is hydrating, and best of all, it smells frickin’ divine! 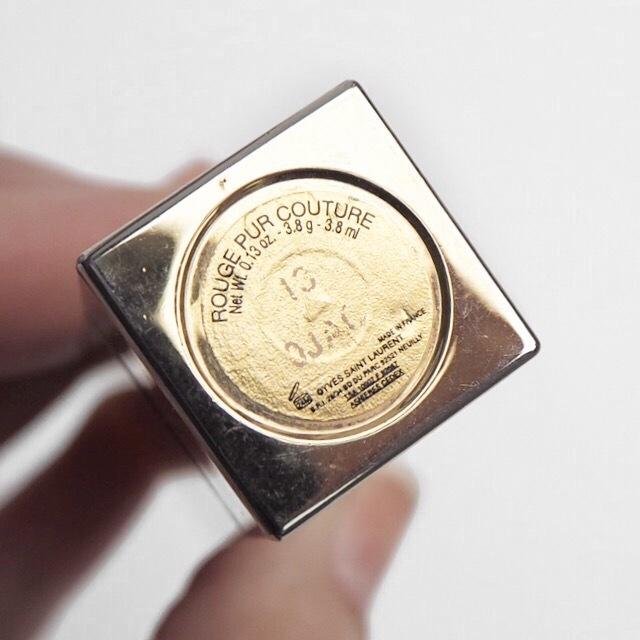 I’ve been wearing this particular shade for about five years now, but there are over forty shades in the collection. If you haven’t tried this range by YSL, I would highly recommend you do. Call it a January treat when you get paid cause these guys are expensive! 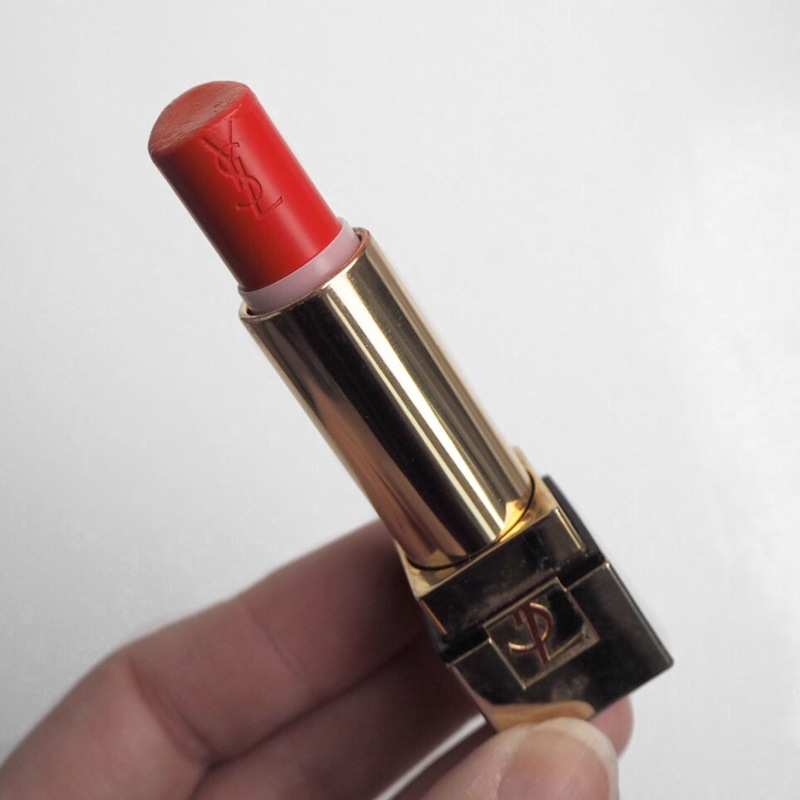 In saying that, if I could only have one lipstick for the rest of my life, this would most definitely be it. I’m not going to lie, I’m pretty sad to be using it so early in the challenge, but it’s the perfect 0range-red shade for my family day out today. I’ve always been drawn to rich colours, I wear a lot of oranges, corals, reds and burgundy tones – someone once told me it’s because my star sign is Leo which is ruled by the sun. Who knows, but it could explain why these are always my go-to shades in both beauty and fashion. I just love them! Don’t forget to come follow my journey over on my social media pages too, or you can just search for the #simplylippy and #365days365shades hashtags on Instagram, Twitter and Facebook either. The one on the bottom left is such a pretty shade! !